Another computer converted to be a USB keyboard to add to the list. 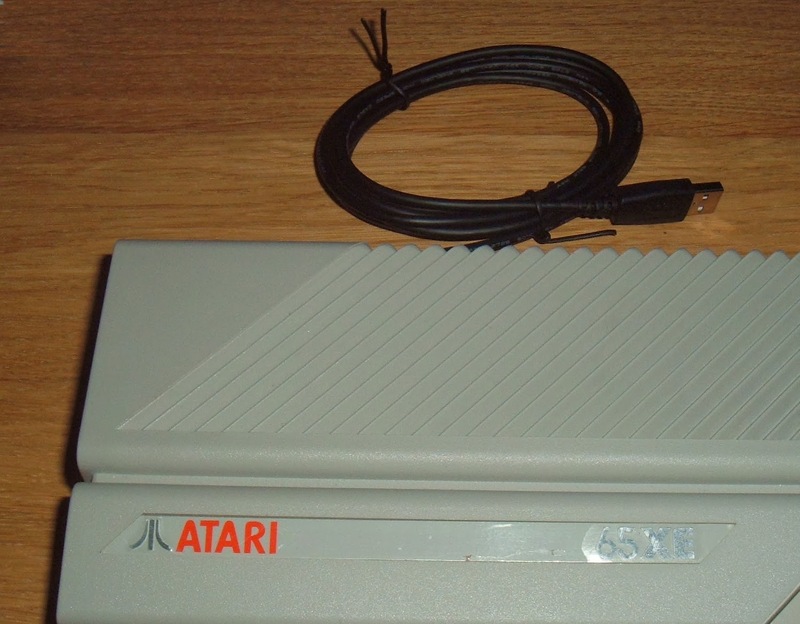 This time an Atari 65XE, the updated version of the 800XL. The 800XL was the first colour computer I had, bough for me by my parents for Christmas 1984 (maybe 1985? 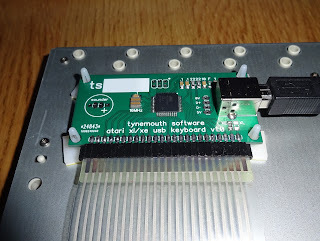 ), after my initial ZX81(s). Here we have a 65XE, a cost reduction and a case modernisation exercise. Gone is the PCB keyboard with mechanical keyswitches, and in comes a membrane keyboard. The case was shortened a bit and the 5 silver buttons down the side on the 800XL are now diamond buttons on the top. 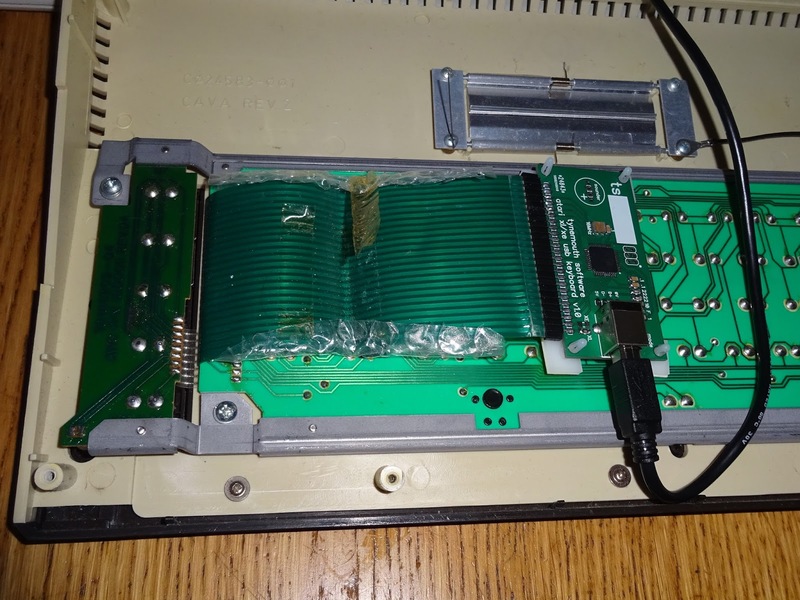 The cartridge slot was also moved to the back. 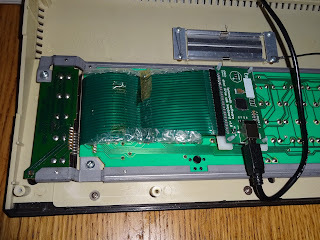 Wiring up the keyboard was fairly simple, just a case of getting the right connector for the keyboard flat flex. The only slight issue was that 4 of the diamond keys are switched to ground, rather than being part of the matrix, like the first key, the 'Help' key. The power LED also shares that ground, so it cannot be directly added to the matrix. Bit of code tweaking and that was taken care of. The keyboard controller mounts under the keyboard quite snugly. 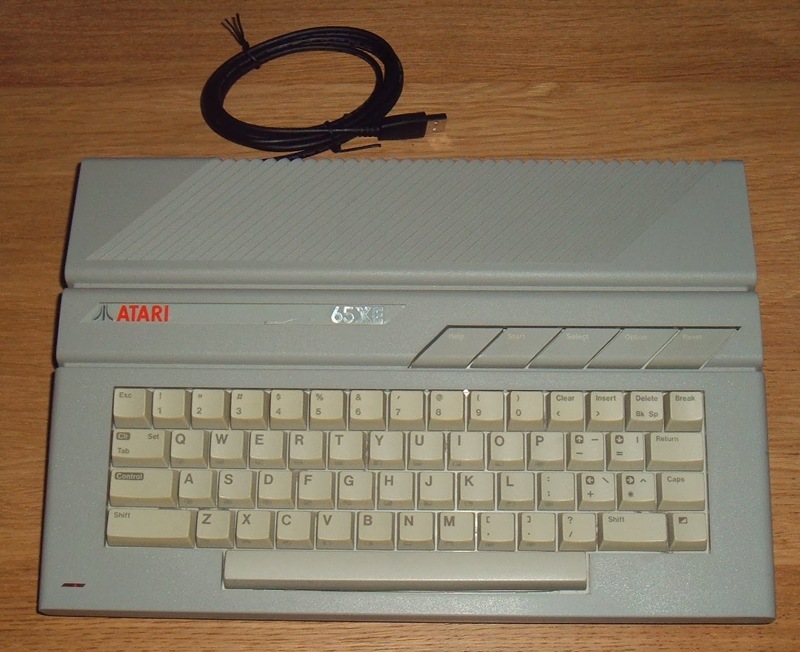 The original computer had two joystick ports on the side, just the right spacing for my USB joystick controller, which was designed for Spectrum +2's and Commodore 64s. 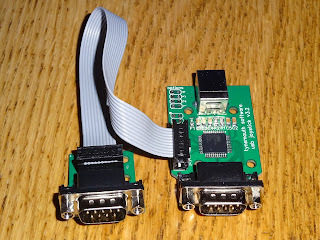 I'll fit a hub to connect both the USB keyboard and USB joystick controllers, and offer a couple of external USB ports for a mouse or other USB devices. 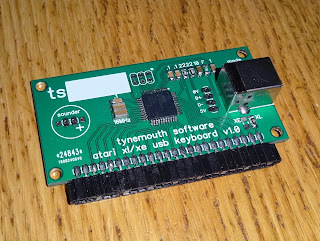 I'll be offering the Atari 65XE USB Keyboard and Atari 65XE USB Keyboard with Joystick ports in my Etsy store, and also a version with a Raspberry Pi integrated. I have designed a board specially for the Atari XL/XE USB keyboards, these can be purchased below. The XE version is suitable for the 65XE and the 130XE. 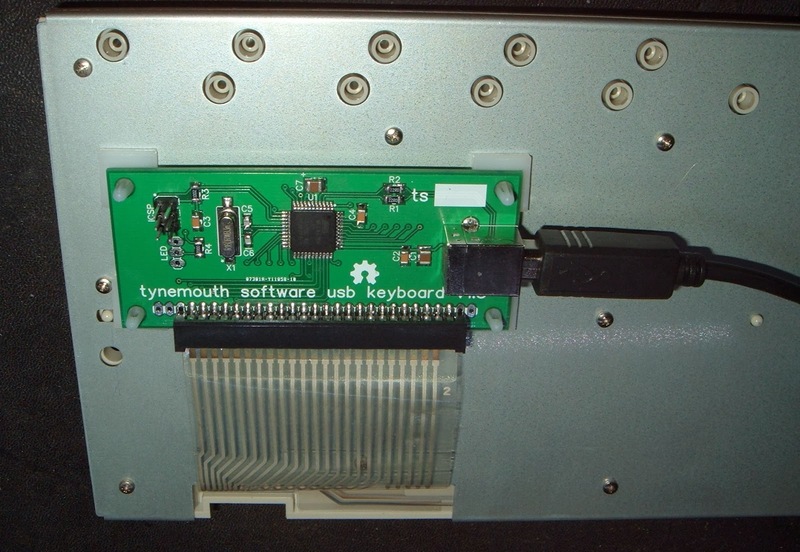 The XL version only works with membrane type 600 XL / 800 XL keyboards, as they pinout changed over time. 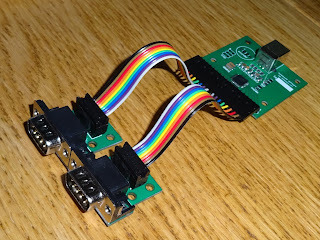 This is suitable for ones with clear or green membrane tails, but not the white wired version or the 1200XL. Please contact me before ordering the XL option to check your pinout. These are also available as a kit with the USB keyboard controller and the dual USB joystick board. 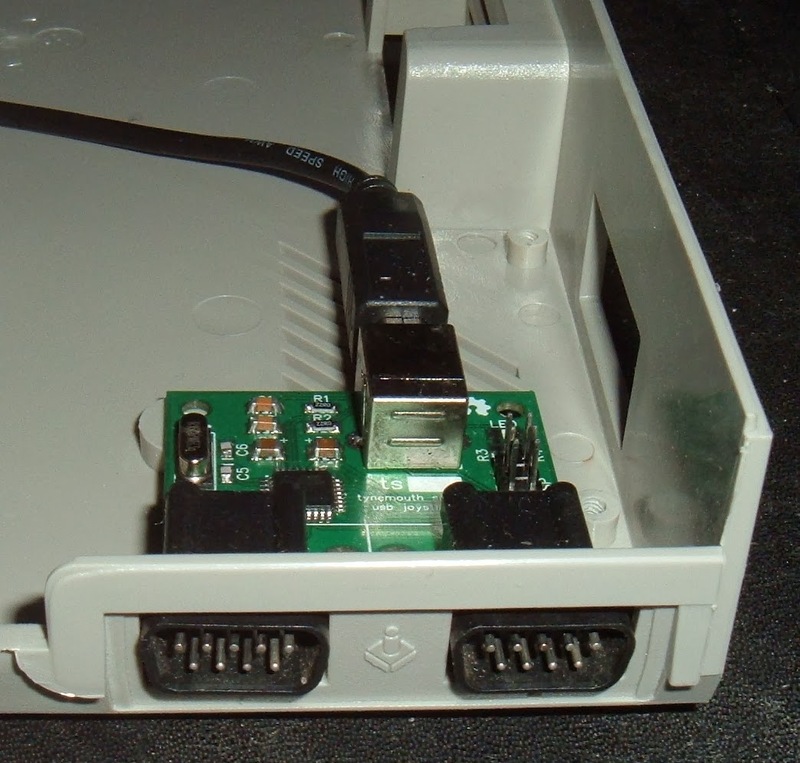 The XE version comes with the joystick connectors on ribbon cables, to clear the mounting posts. 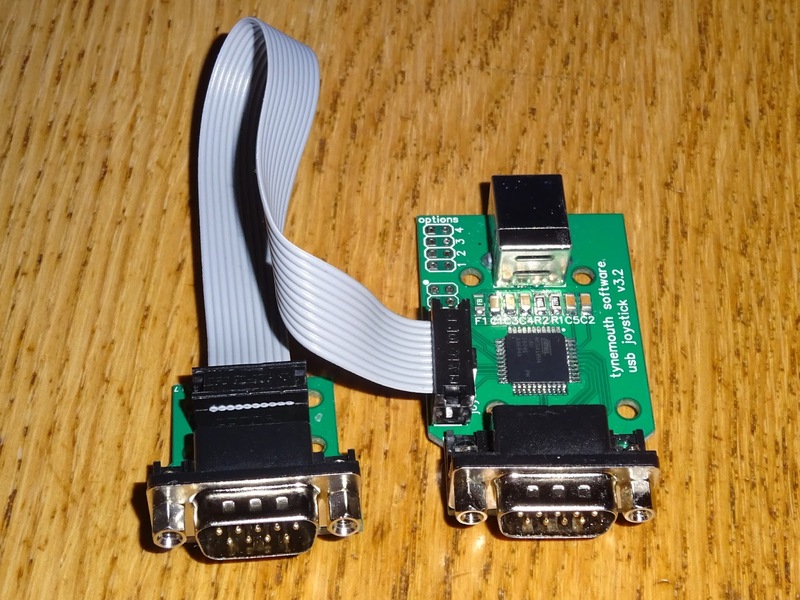 The XL version has the dual board with the second port on ribbon cable.